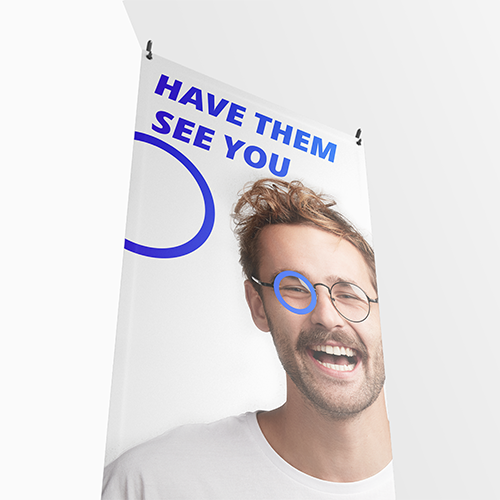 X-banners are great eye-catchers for business meetings or network events! They are also a great addition to any shop window! 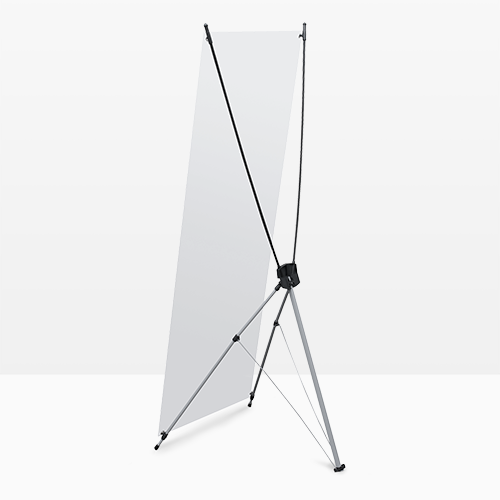 Because of the unique shape, X-banners are easy to set up. 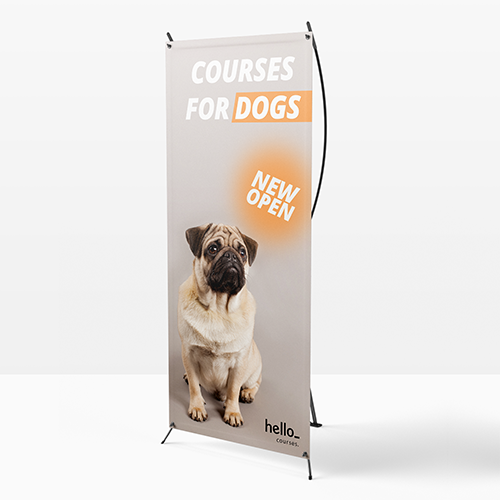 At Helloprint, you can design your own banners in only just 5 minutes! 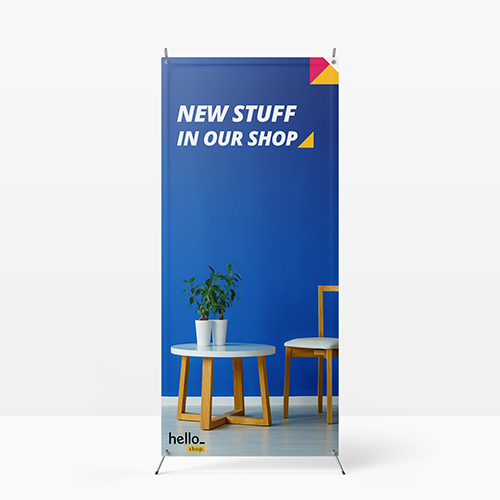 Helloprint offers the best price for X-banners in the United Kingdom. Order your X-banners today. An x-banner is a display consisting of a PVC sheet with an x-frame. This results is a beautiful display combined with a steady frame so it stays where it should be. For the delivery of your x-banners we use multiple carriers. Because of the highest reliability, in most cases we use UPS or DPD. The x-banners that is chosen in most cases can be selected via our website. What type of material are X-Banners made? Standard banner (510 gsm PVC sailcloth): This is the most bought material for banners. The banner is very solid and made for inside and outside use. What is the weight of the X-Banners? The weight of the banner-x is approximately 3 kg. Can I easily change the cloth of a X-banner? The canvas of a X-Banner is easy to change. The cloth is provided with rings in the corners. The rings make sure that the fabric is attached to the frame. If you want another cloth for your x-banner you have to order a canvas 60 x 160 cm (including rings at the corners) from our banner category. Is the fabric of the X-Banners fire resistant? 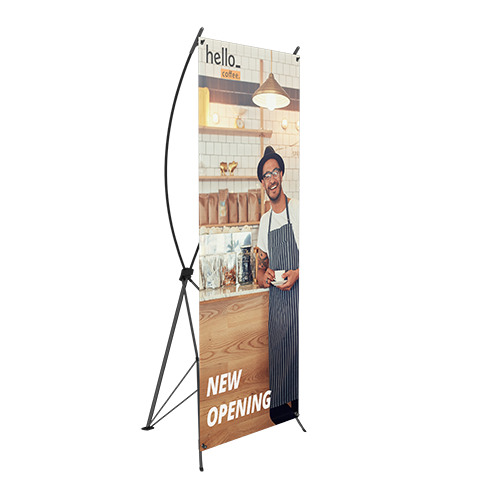 The 510 gsm standard banner is fire resistant and B1 certified.